Our goal on every interior strip out is to be safe, swift, clean, and largely unnoticed—minimizing the impact to surrounding tenants. Call on Green Circle Demolition for total demolition and wrecking. We specialize in the rapid removal of simple-to-complex structures. We can save you time and money with on-site concrete crushing. For sites with ample space, Green Circle Demolition can crush concrete and asphalt on-site safely and legally. Simplify environmental remediation with Green Circle Demolition. From thorough documentation to professional removal and disposal, we can manage all your environmental remediation risks. 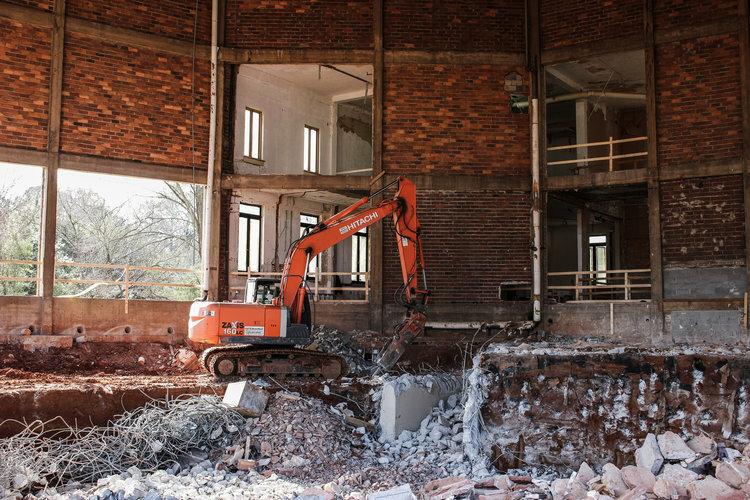 Green Circle Demolition specializes in processing, shredding and recycling the residual ferrous and non-ferrous metals left after interior demolitions, total demolitions and wrecking. Green Circle Demolition is a go-to for roll-off, open top trailer, and low boy equipment moving services. Our waste hauling offerings allow us to provide the turnkey experience that saves our clients time and money.